Multiport laparoscopic splenectomy (LS) is considered the “gold standard” for the management of surgical diseases in normal or slightly enlarged spleens. 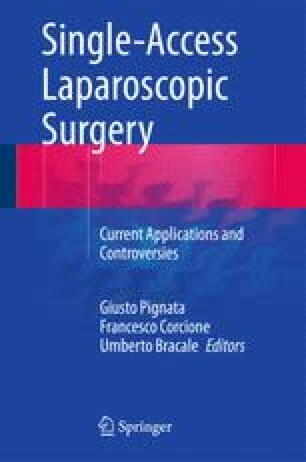 The concept of minimal invasive surgical techniques has progressed from standard multiport laparoscopy to single-port access (SPA). Simultaneously, a concept of reduced port surgery (RPS) has emerged trying to overcome the difficulties of SPA. The reduction of the number and size of incisions as well as the use of natural orifices or scars permits to preserve the integrity of the abdominal wall, reduces the number and size of wounds, and improves the esthetic outcome. The technique of single-incision splenectomy as well as of reduced port splenectomy is described.